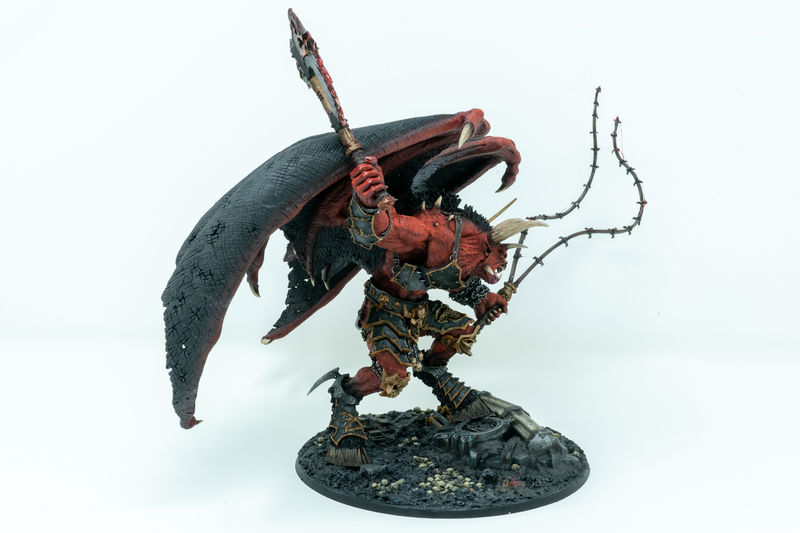 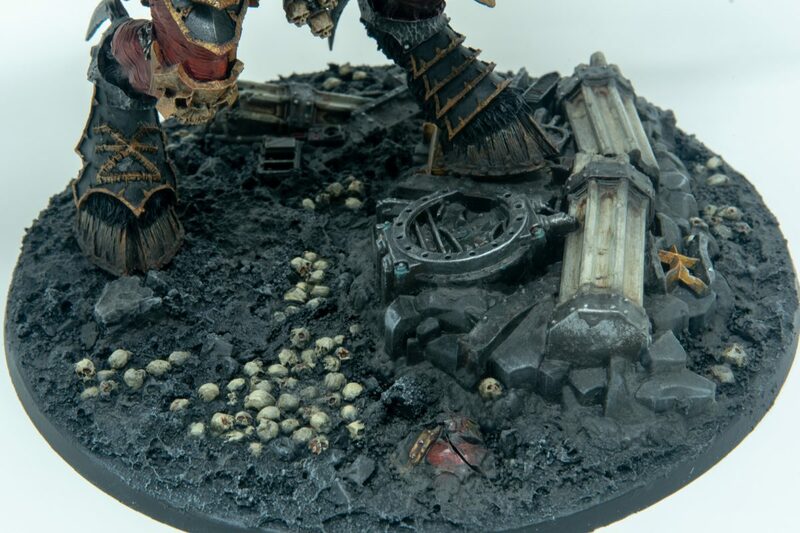 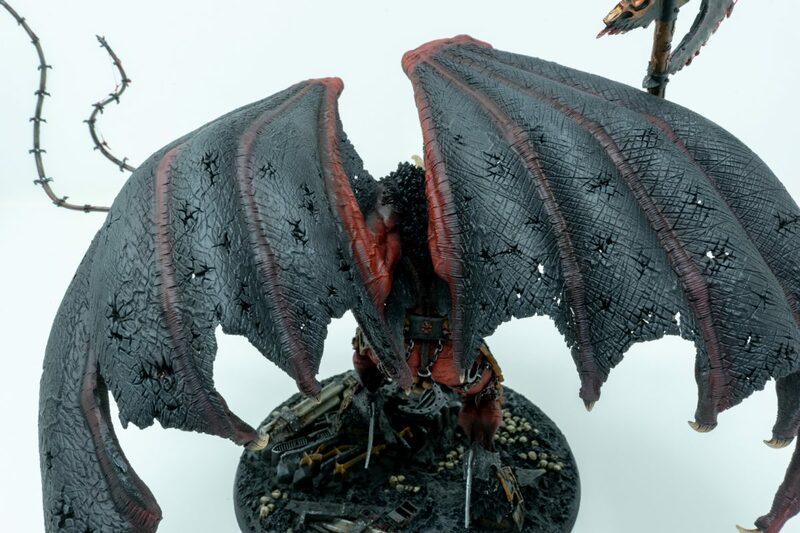 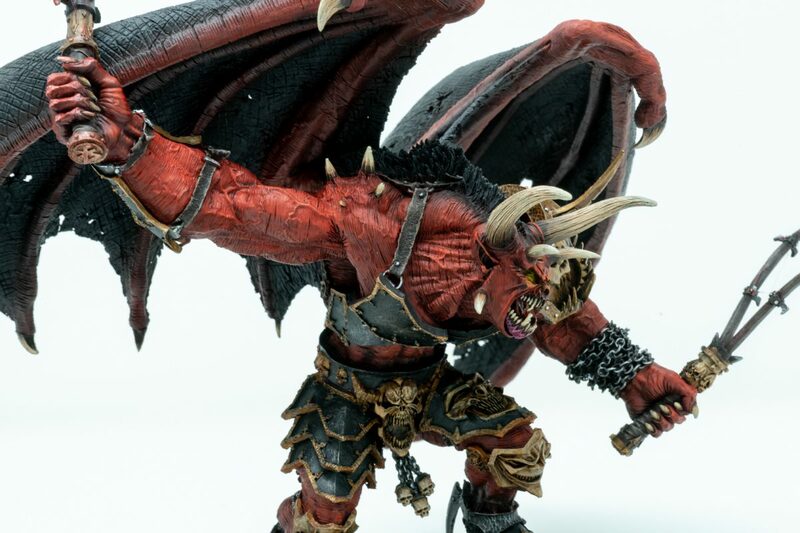 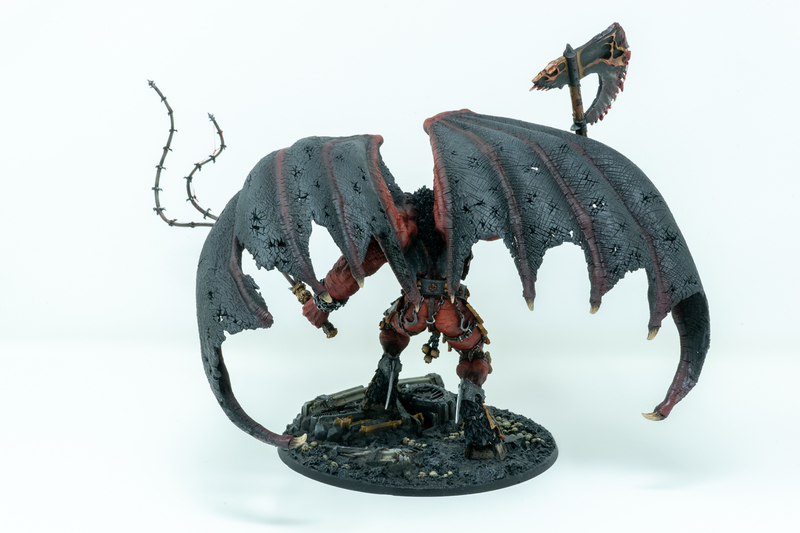 If there was one model that I always wished was in my collection, it would have to be the ForgeWorld Bloodthirster, An’ggrath the Unbound! 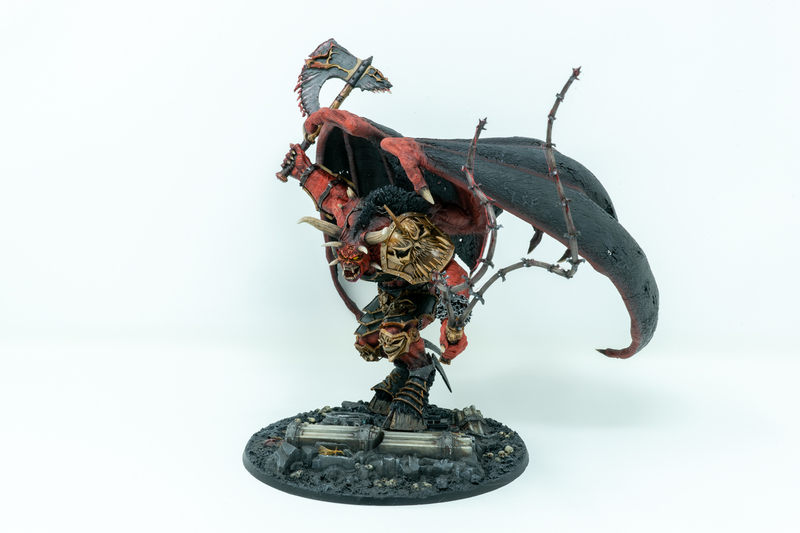 My first time seeing him was in the concept art and in-game for Warhammer Online when I worked at Mythic Entertainment. 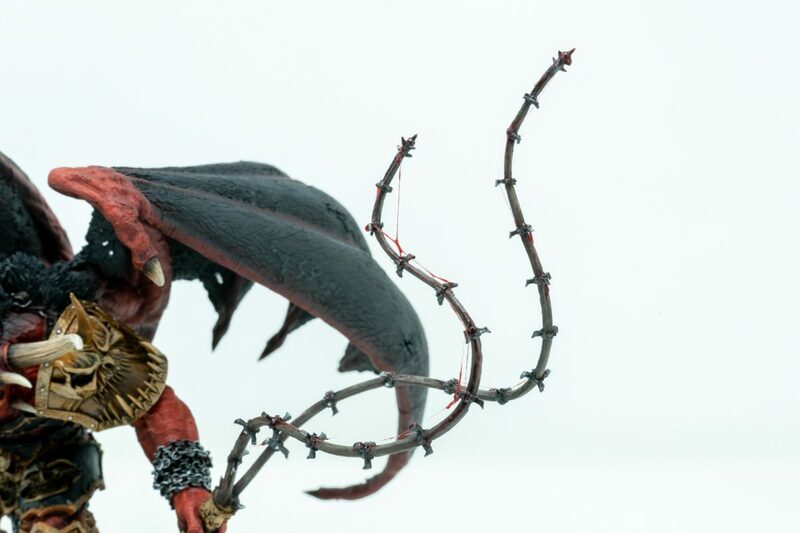 I love how the artists were able to bring him to life and ever since, I was hooked this daemon. 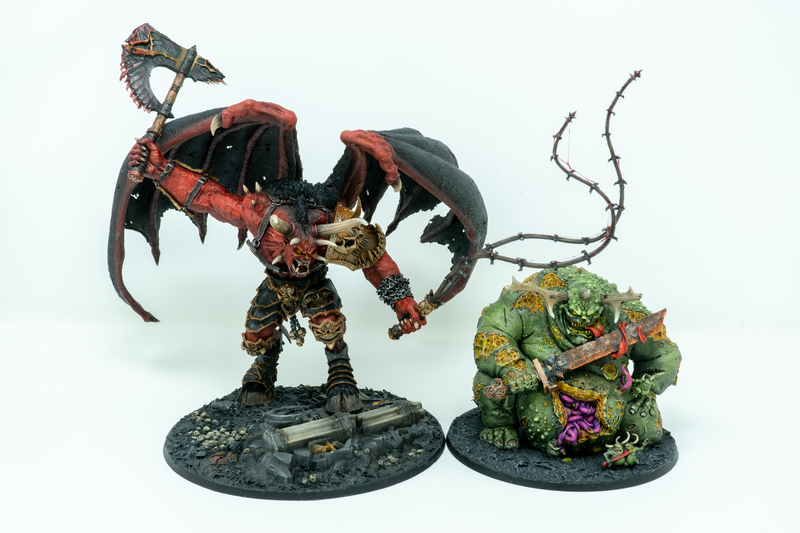 With three Great Unclean Ones under my belt, I needed to grow my Greater Daemon collection. 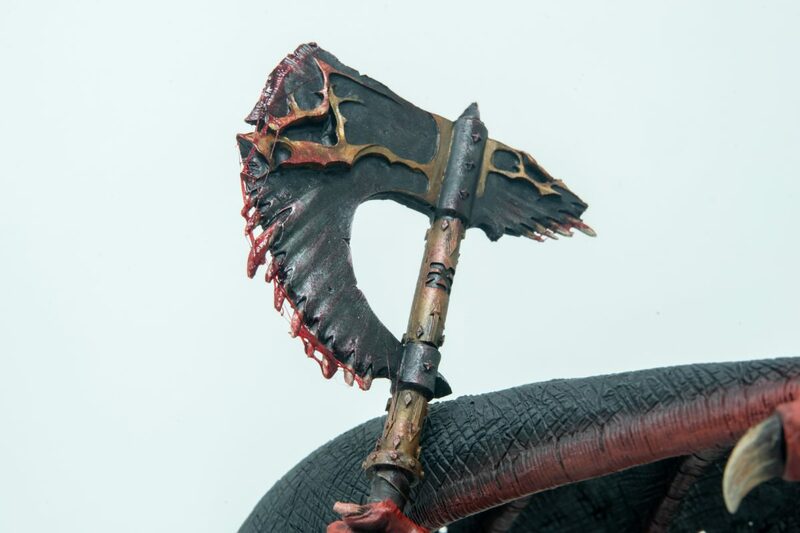 I was lucky enough to finally get my hands on this beast and couldn’t wait to get started! 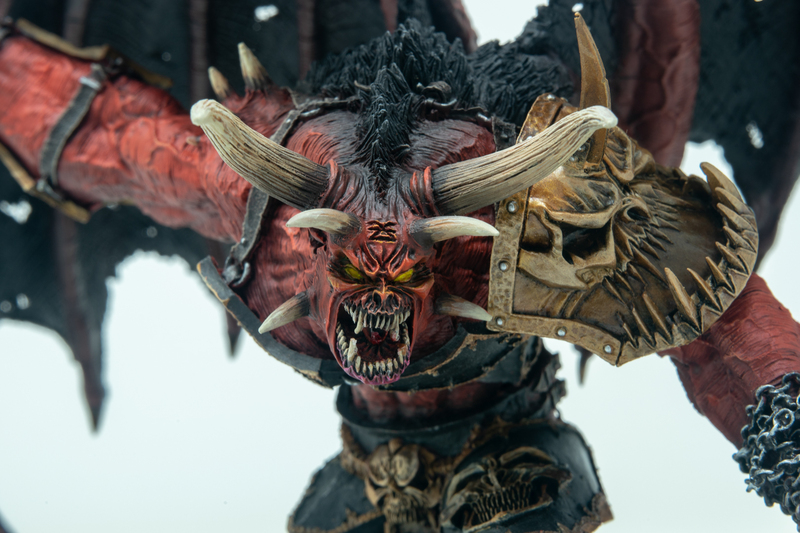 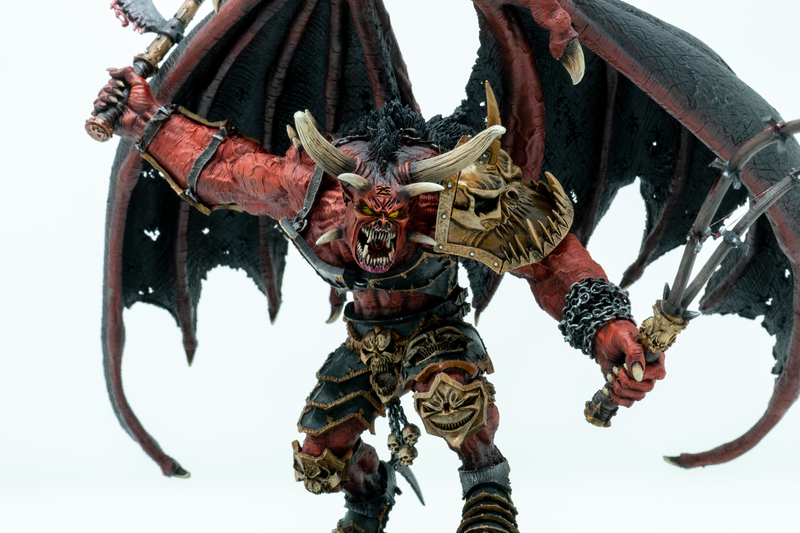 To go along with this post, I shot a 4K video showcase of this beast so you can get a better 360 degree look at him and it also includes the painting recipe I used. 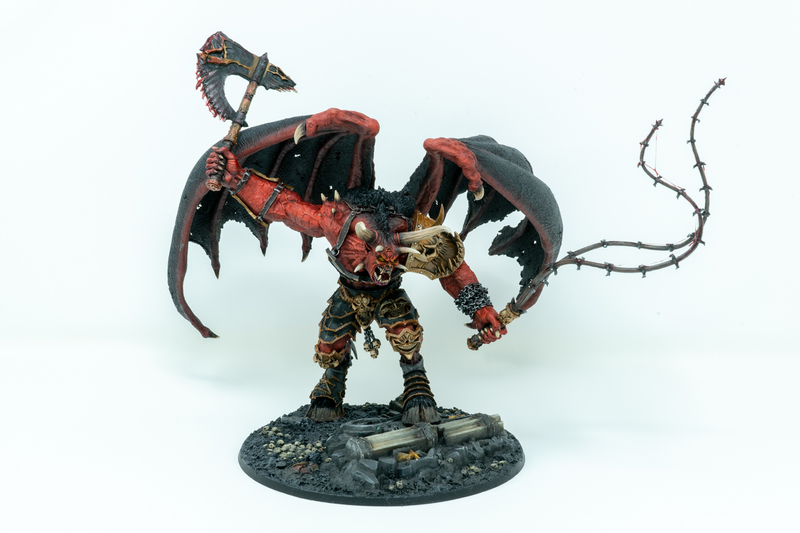 Thanks for checking this daemon out!